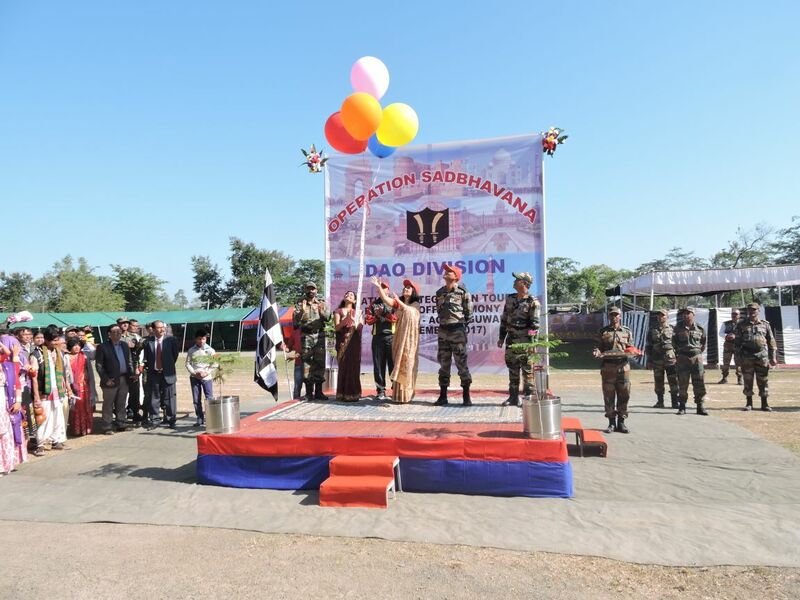 The prestigious 12-day National Integration Tour (NIT) was officially flagged off on Tuesday at Dinjan Military Station by the Dao Division of Army, with participation of more than 500 students, teachers, civil dignitaries and guests. The NIT touring students were given a warm send off with compliments from one and all. The NIT see the meritorious students of under various section of Assam and Arunachal Pradesh travelling to various places of historical and cultural importance in Delhi Agra, Jaipur and Guwahati. As part of the tour, student will be meeting the President Ramnath Kovind at Rashtrapati Bhawan. ‘‘The tour had been planned to give maximum exposure, to the diversity of the nation. This tour will greatly expand their thinking horizons,” said Major General Gajinder Singh, GOC Dao Division. The NIT tour kicked started on Tuesday and will conclude on January 6, 2018 at Naharkatiya. This grand flagging off ceremony has brought before audience exuberance of the youth who performed various events. The NIT was flagged off by Radhika Chandel and Major General Gajinder Singh, GOC Dao Division in presence of various civil dignitaries.